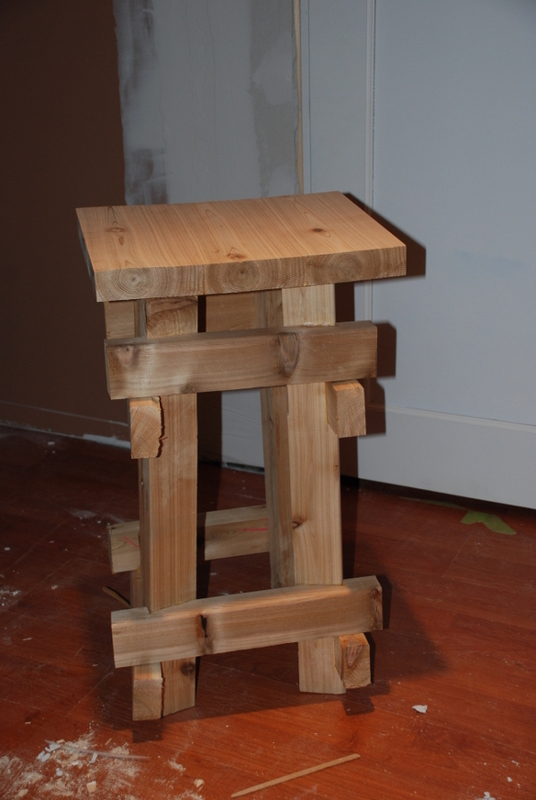 I’ll attach a couple of the finished stool with my name in the filename. The stoll is 27″ tall. A bit taller than most, but it works well against my, generally high, work surfaces. The stool was built out of left-over cedar 2×6’s from a fence build in the summer (I wanted to use only stock which I had in my shop). The wood for the frame is all roughly 2×3 nominally (I split a 2×6 in half for the frame). The seat is glued together 2×6’s (iirc, it measures 15×12″, and is slightly curved). For me, the biggest challenges were time, compound angles, and hand tools. 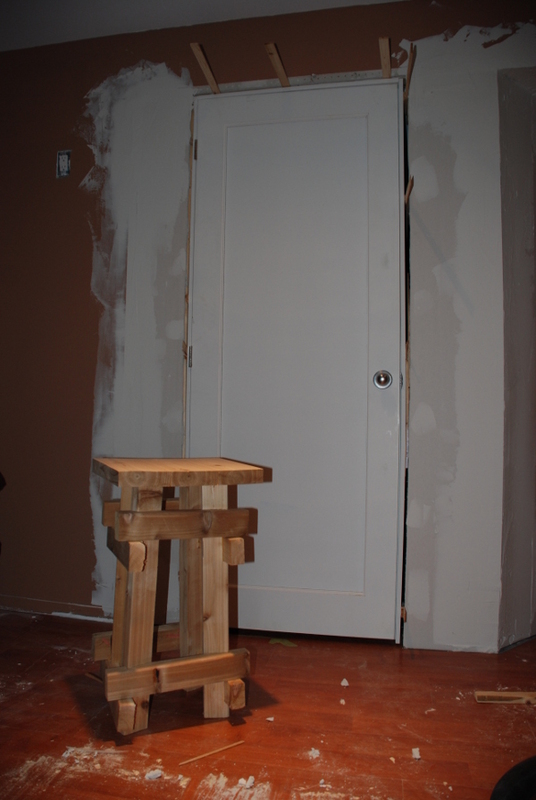 I wanted the stool to be a hand-tool build, which meant that, given the time-frame, I figured using my left-over cedar was the best way to go (I knew I’d be doing a fair bit of tweaking of the fit of the rails, and figured it would be easier in softwood). The compound angles were new to me. I decided to do as little measuring as possible, and basically placed the legs together on my bench, where I wanted them, then laid the rails on top and traced the intersection angles onto them, and then cut them out. Accurately tracing the angles proved more difficult then I expected, especially considering the rounded edges of the cedar. As far as next build… might be interesting to make some tools (eg. hand plane or mallet). Those examples are probably too simple, though (at least the latter likely is). I also think a build like “produce the easiest/most-efficient jig to do <X>” could be interesting… but choosing <X> likely isn’t an easy task, and possibly limits the audience depending on what is chosen.